George began his career on the beach in Cleethorpes working with donkeys. 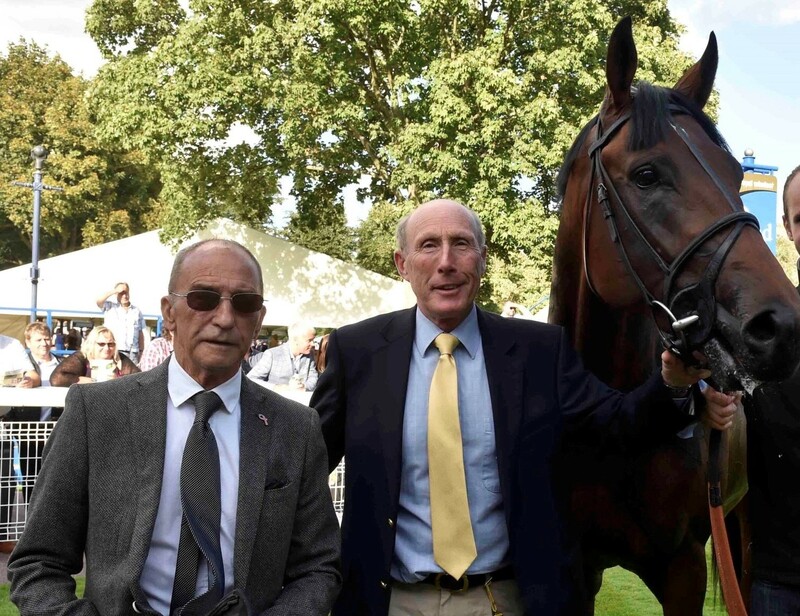 From there his passion for horses flourished and he was soon in a racing yard learning everything he possibly could, soon progressing to a travelling head lad and eventually gaining the backing John Guest who’s family continue to support George as a trainer to this day. 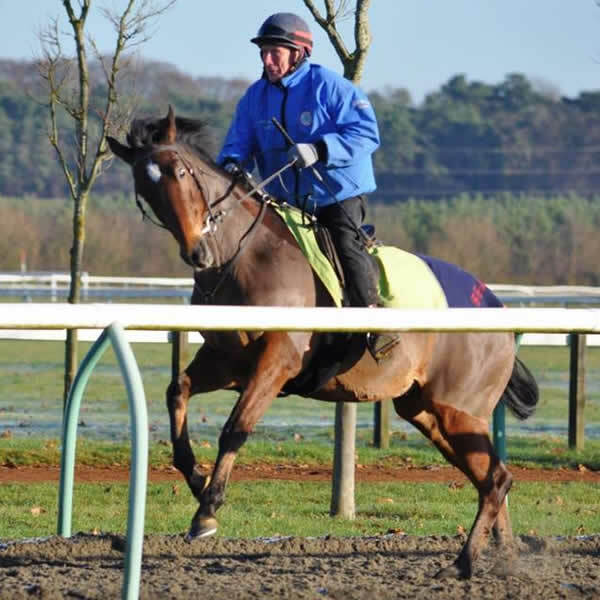 George is usually found on the heath overseeing everything on his trusty Tote International winning racehorse turned hack Atavus. Gaye grew up on a farm and horses were in her blood from day one, not long after school was over she left home and set up camp in Newmarket and hasn’t looked back since. One husband, 2 children, 4 dogs and countless horses later and Gaye still enjoys riding out every day on yard favourite Excellent Aim. Gaye is usually found making porridge for the team or organising the boss. Katie has been George’s assistant since she could toddle (profoundly bossy in nature, we can’t think who she gets it from) and hasn’t looked back. Katie was an amateur up until 2018 when she was forced into retirement by the youngest member of the family and instead is focusing on her running (Katie is currently 800m county champion. She is also a qualified Personal Trainer and offers great personal training sessions to the yard team. Katie is usually found running around in circles (aka bit of a box walker). 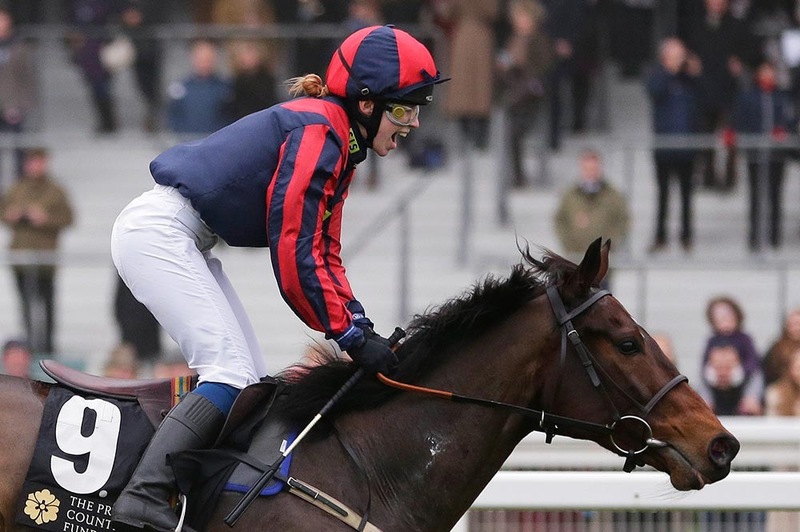 Rosie is the youngest of the Margarson team and currently has 4 jobs including the Injured Jockeys Fund, Tattersalls, Racing TV alongside riding as an amateur. Busy would be the word often used to describe Rosie. 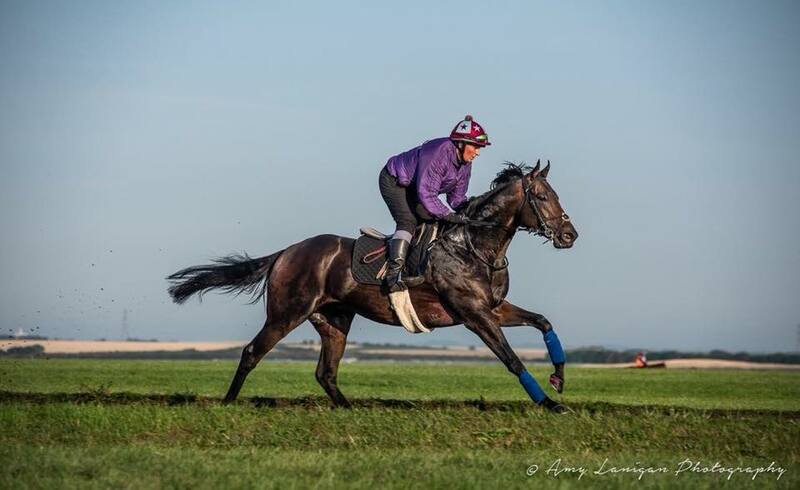 Following a stint for the BHA in London where she just had the one job Rosie came back to Newmarket and picked back up all the jobs where she left off and doesn’t look like slowing down anytime soon. Rosie can usually be found either riding Bean, working or napping. Becky was still in school when the racing bug bit and it’s been her passion ever since. Becky joined the team in June 2017 and since then has become an integral part of our team, Becky is somewhat of a 2 for 1 deal, as every morning before school Becky’s youngest son 10yo Aaron comes in to help out and watch first lot with the boss. During the school holidays he is with us all morning every morning without fail. 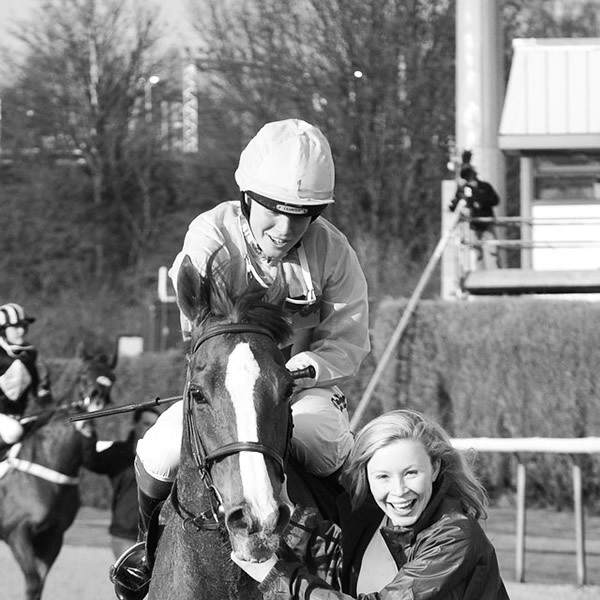 Becky is usually found on horseback or making sure everyone in the team (people and horses) is on their A game. Colin (far left in the picture, forever ruining good shots) is our ‘part timer’ yet is almost always in the yard. Colin joined team Margarson in September 2018 and hasn’t stopped making brilliant new team rules including whoever falls off buys doughnuts. Colin, however, is yet to buy any doughnuts. 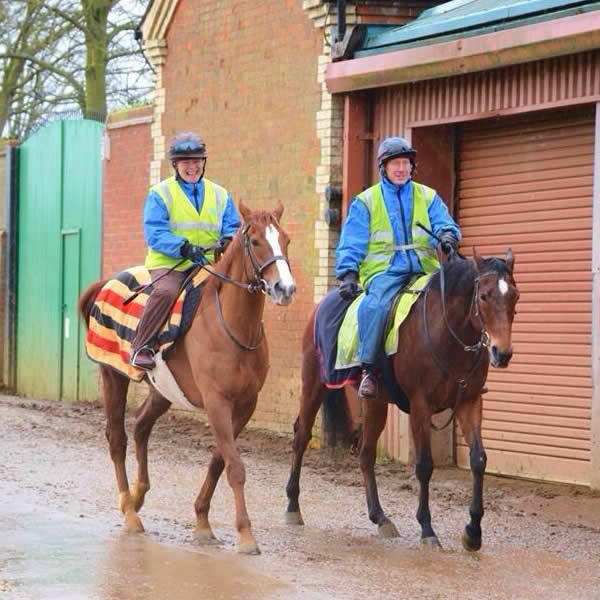 Alongside riding out and going racing for team Margarson he also runs Huggan Bloodstock. Colin can usually be found either riding, eating doughnuts or on a plane. Jimmy needs no introduction, he has a wealth of knowledge and we consider ourselves very lucky to have him in our team. 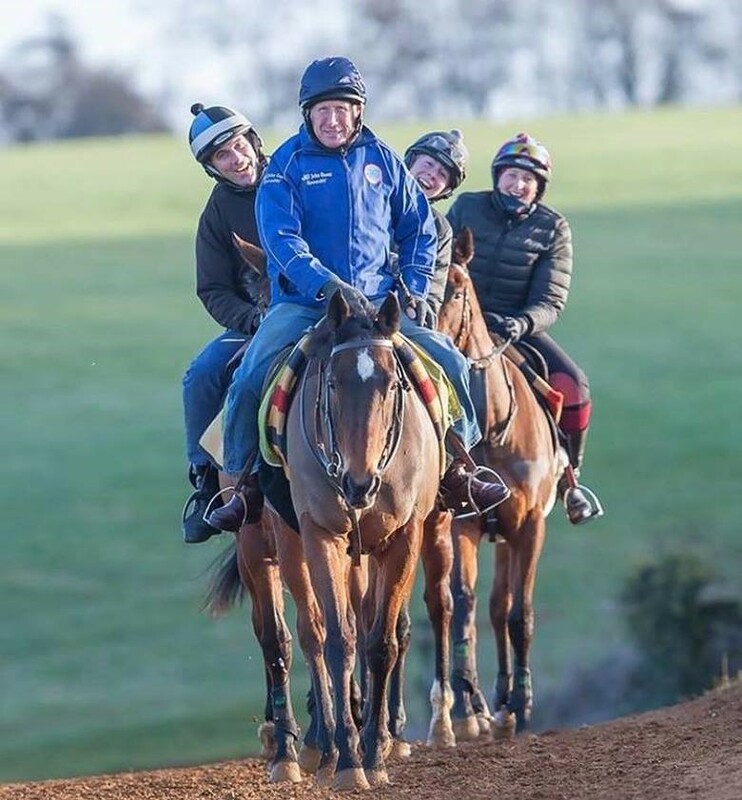 Jimmy has worked with some phenomenal horses throughout his career including Shergar, at team Margarson Jimmy helps keep all of racing kit like new and is an asset to have go racing as his knowledge and calm demeanour helps all of the horses enjoy their racecourse experience. 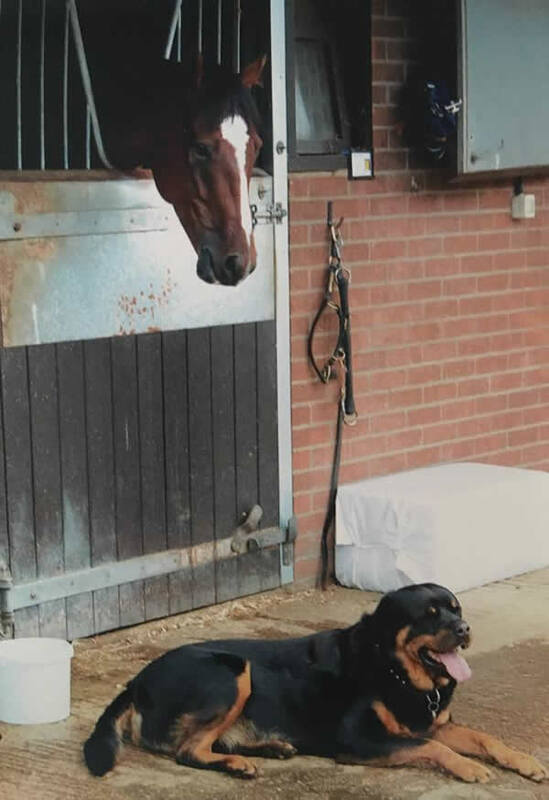 Jimmy can usually be found in the tack room or fast asleep in the lorry. Stamford is our current Battersea rescue dog. Over the years the Margarson family have rehomed and taken care of over 10 dogs both old and young that necessarily wouldn’t have been good candidates for rehoming. Our yard offers them a safe and stable home to settle into and live the rest of their lives in. Stamford can usually be found lying in a puddle and is chief gate watcher.